The aspects and intricacies of the financial world come as naturally as breathing to some people. For many of us, however, the world of finances is practically its own separate planet, complete with a super confusing foreign language. However, there are some key financial terms that are important for everyone to know, even if they seem difficult to grasp and master. In order to build a better financial future, we need to stay educated on the financial terms of today. First Western Federal Savings Bank is active in providing non-recourse loans, as well as cashing out CRP payments, and we want our customers to find the financial stability they desire. Because of this, today we will be diving into some of the most important financial terms that everyone should know and have in their vocabulary. Don’t leave your financial lexicon in the dark—read on to learn more, and contact First Western today! The person or entity who is taking out (or borrowing) the loan. In simple terms: Actually, that pretty much sums it up. In simple terms: Collateral = property or other asset that you own. With a deficiency judgment, “deficiency” refers to the difference between the sale price of a foreclosure and the total debt. A deficiency judgment is something the lender obtains against the debtor to make up for the deficiency. In simple terms: A deficiency judgment is a way to make up the difference lost between the final sale and the debt owed. In simple terms: A foreclosure means you no longer have the right to the mortgaged property. A lender is the person or entity who gives out (or lends) the loan. In Simple Terms: This one’s like “borrower,” not too complicated. In simple terms: A mortgage is a way to purchase real estate without having to pay everything up front. The borrower pays off the mortgage (plus interest) until they eventually own the property. This term is a little more complex. 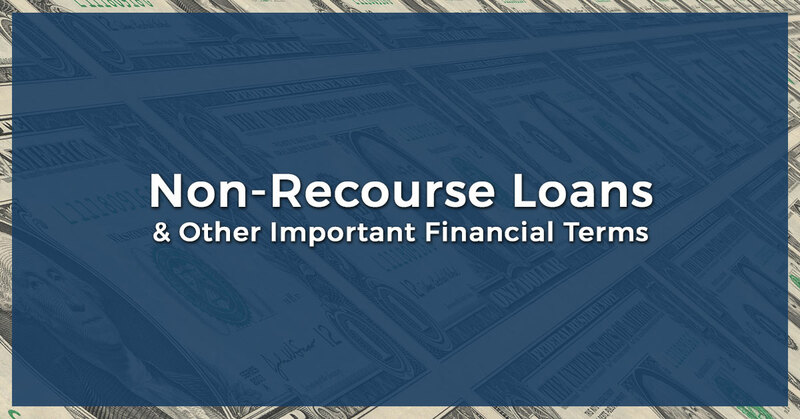 Before we go into what a recourse loan is, it’s important to understand the components of the term itself (don’t worry—if you don’t know anything about recourse or loans, you are not alone!) Recourse refers to the legal right to collect, meaning that the person or entity granting a loan has the rights to collateral in the event that the person borrowing is unable to pay their debt. In a recourse loan, you put up your collateral in order to receive a loan, as a promise that you will pay your debts on time. In simple terms: If you have a recourse loan and you don’t satisfy the debt obligation, your property or other asset will be at risk, in addition to any other funds leftover that are owed on the loan. If the loan is not paid, the lender cannot do anything except foreclose on the property. There is no chance of a deficiency judgment being obtained in a non-recourse loan. In simple terms: If the borrower can’t pay and a foreclosure happens, the lender can’t try to get more money from the borrower to make up the difference. Financial terms can seem very confusing and muddling at times, but hopefully this guide has provided a bit of clarity. For anyone who desires to own property or become a homeowner at some point in their lives, having the correct financial vocabulary is crucial. If homeownership is not currently on your radar, the immense benefits that come from investing in property should make you start considering it in the future. Whenever you’re ready to make the jump into mortgages, loans, and more, First Western is here for you. As one of the nation’s leaders in non-recourse loans, we are happy to help you on the financial journey that will help you and your future. Call us today to get started!